In a more ancient time, shinobi followed a strict diet to maintain a slim physique to carry out missions of espionage and many other tasks. These things would be difficult if you were a very large person. Shinobi camouflaged themselves in the enemy’s presence for days or even weeks while they gathered information or performed other duties. Walking on rooftops, hiding under floors or attics, and escapes through tiny openings were common for a shinobi who had to be fit at all times. Shinobi avoided eating meat, dairy and sugars, which would take more energy to process, in favor of tofu, vegetables, whole-grain millet, and whole-grain rice. Pine nuts, high in protein, were believed to lend keener sensory perception and helped in the anti-aging process. 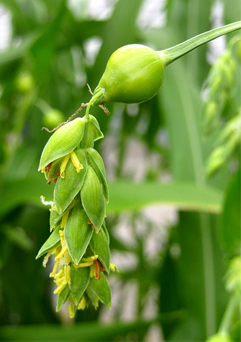 They also ate allay or “Job’s Tears,” which is a tall grain-bearing plant that’s capable of growing in the higher altitudes of the Iga and Koga shinobi where rice and corn doesn’t grow so well. Foods that lead to body odor were also not on the list as they could mean death if one were trying to hide from an opponent. They were also careful not build build their bodies in ways that made them immobile, not building square shoulders or being thickly muscular around the pelvis area were key to nimble movement. It is said that the ninja had a weight restriction of 60kg or 132lbs which was the exact weight of one straw rice bag. That straw rice bag was also used as a weight to hoist overhead during training using only the thumb and index finger. The strength acquired from this exercise was used in climbing and to hang from ceiling rafters or underneath bridges. Times have certainly changed for the shinobi. A few hundred years ago, he or she may have had to adhere to a very strict diet to maintain a slim figure, but that was a different time with it’s own requirements. Today’s shinobi fits a very broad profile. Some of us are a part of ultra-secret military groups while some are the average neighbors down the street living a life of ninjutsu. Whatever the case, a well-balanced diet will keep you at your best, whether you’re scaling the outside of a skyscraper or in ichimonji at your local dojo. Fast forward to now. The methods of shinobi, while fundamentally the same, have drastically changed in application and variety. The very nature of a shinobi is adaptability and survival with maximum efficiency. 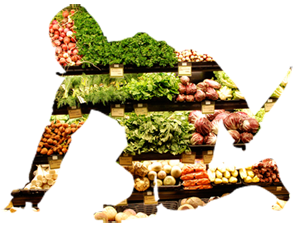 Today we have fast food and supermarkets filled with products in varieties that most of us don’t need. I’m sure that hundreds of years ago there were not-so-healthy options that the shinobi avoided as well, and it’s with this same diligence that shinobi in this time tailor their diets to maximize their response to environment. The modern shinobi diet has seen many advancements of the past couple of hundred years, but in the past ten years, there have been so many new products and studies introduced that it’s important to be well versed on your dietary training as a ninja. Many diet programs that become mainstream focus on changing either the foods you consume or their quantities. The missing link has been the time factor. Nutrient timing is knowing when and what to eat before, during, and after your exercise routine. It was designed to help anyone that exercises maximize their performance and recovery. This system emphasizes 3 phases the body goes through in a day of training. One’s body needs a certain amount of energy or calories to function whether you are working, exercising, texting or sleeping. When you exercise the body depletes it’s energy to keep you going by taking nutrients from the muscle to use them for fuel. When the body is kept properly fueled during all three phases the results are increased performance during workouts and a speedy recovery. During the energy phase the body should be primed with supplementation of carbohydrates and protein, having a dosage 15-20 minutes prior to a workout and at the same intervals during workout to keep the body from feeing off itself for fuel. In the anabolic phase supplementation of carbs, protein, glutamine will assist in speeding the recovery process. Maximum absorption of supplements happens during the period of 15-45 minutes after a workout with the optimal absorption rate happening exactly around the 15th minute mark and attenuating from there on down to the 45th minute. Many people scarf down their protein shakes or recovery drinks immediately after a workout, but it is best to wait for that sweet spot. After a workout, the body doesn’t have a switch that it hits to tell it to stop doing this and do that. A good way to work this wait period into your training routine is to take this 15 minutes to work on breathing, stretching, or just be thankful you made it through that workout. Now you just have the rest of the day to plan out your meals to continue the recovery phase until the next workout. Keep in mind that if your workout is in the morning, the body needs to eat 3-4 hours after anabolic post-workout supplementation. Then eat about every 3-4 hours for a total of 5 meals for the day, and that’s including the anabolic post-workout as a meal. I know what you’re thinking, 6 meals a day?!? For example, let’s say you woke up at 6am. With proper supplementation throughout the day your performance will skyrocket. For a typical three meal a day eater, it may take a week or so to adjust to eating a bit more but with the boost in performance, the body will also be burning more off so it balances out. The addition of the supplemental meals will speed up your metabolism as your body turns into a furnace for fat. It may seem odd, but the more you eat, the more your body burns when a proper exercise regiment is in place. Today’s ninja doesn’t have to meet the strict weight requirements of ancient times- 60kg (132lbs). For example, I’m a 90kg (200lbs) ninja at the height of 5’10” and for the needs of my environment and missions this weight works for me. The key to Ninjutsu is adaptability, so your diet must change as your requirements change. Top photo credit of two ninjas: http://www.ninjaacademy.com. They’re an awesome L.A. band that performs in ninja attire. Thank you for your kind words, interest in ninjutsu and the diet. I would love to tailor a diet for your specific needs. I will email you at the address provided so we can get started. The first thing I recommend is to take a “before’ photo of yourself now because the results will be epic. 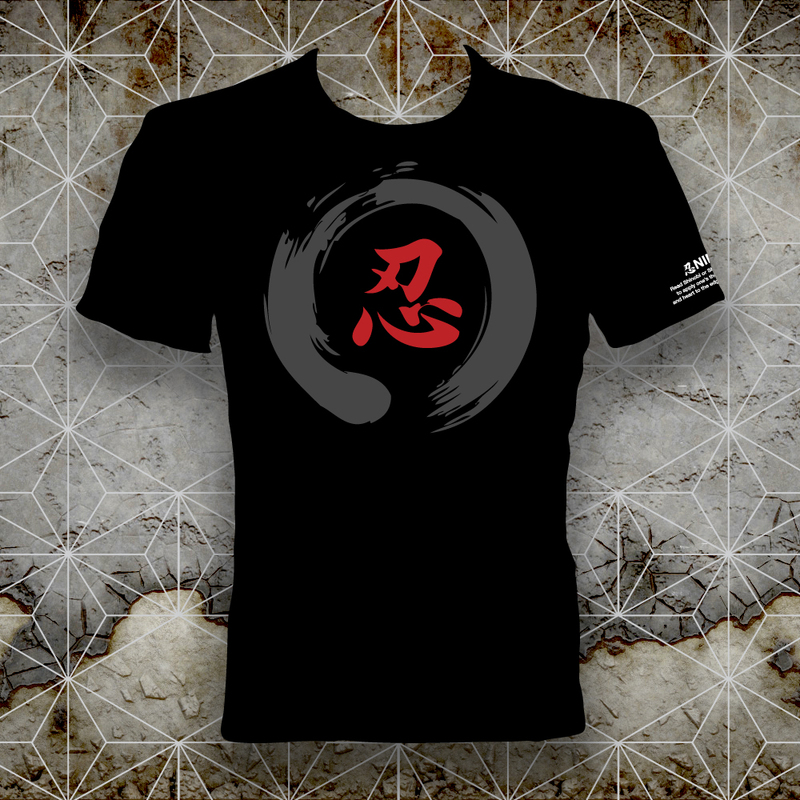 We can also discuss your interest in Ninjutsu and how you can possibly get started. Hi David, Where are you located? Great article! I’m in love with the site. I’m a guy, I’ve been practicing Bujinkan for about 3 months now , I’m 6 feet tall, and about 150lb. I was hoping to get some help on my diet. my poor diet is something I’m really trying to work on, it seems like my biggest hurdle. You guys are so awesome for even offering this to your readers. I hope to hear back from you soon. Hi Andy, sorry for the delay. We’d love to help you any way we can. With just a few tweeks I’m sure you’ll soon see the results you seek. That’d be great! how can we get started ?